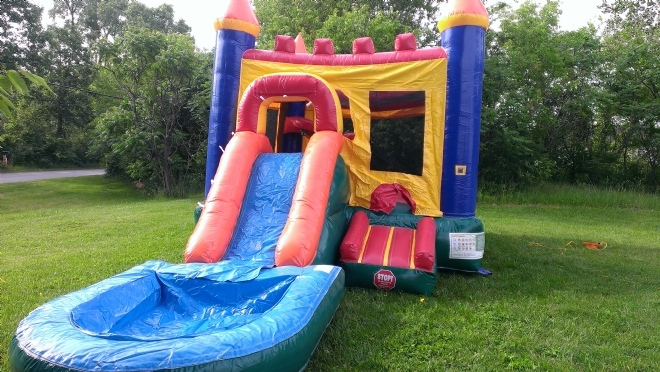 This vibrantly colored bouncer and slide combo has an 11 ft. x 11 ft. bounce area. The height of the slide is 6 ft. thus making it idea for the younger crowd and is geared for 12 years old and under. It is pictured with the optional pool.